My usual Sunday photo montages were interrupted by some health stuff – but I am am back and am happy to continue sharing photos from our recent Texas zoocation. 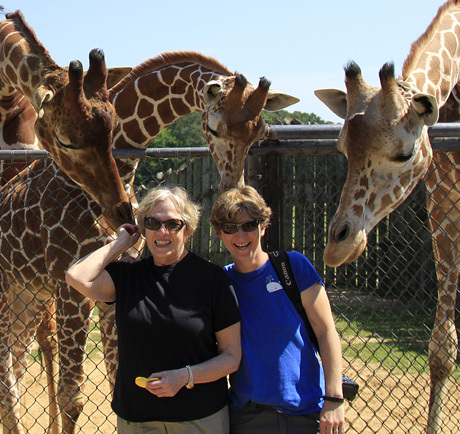 The Caldwell Zoo in Tyler Texas was the second stop on ZooCation 2015. I thought this zoo was near perfect. It had a terrific layout, great big collection of animals, and amazing sight lines (especially the views through the savannah). We were fortunate to be at the zoo on one of their enrichment days. We could hardly keep up with all of the wonderful enrichment treats that were given to the animals. The staff was warm and friendly and made our visit very special. Huge and lous shout outs to Scotty, Joanna and Amanda for enriching our visit. Welcome back! Agree 100% on your assessment, I too loved the layout! I wondered where you disappeared to. Health issues?! How digressing. Glad you are better. Thanks for this wonderful montage. We are so happy that you are back – Fabulous Pictures! Glad you are feeling better Judith, Missed you and your ZooCation photos. Hope to visit this zoo one day. Always love a zoo that has Meerkats! Glad you’re feeling better. Love the photos.